Proper skin care is essential for beauty maintenance and enhancement. At Battisti's, we offer a variety of skin and body treatments for both men and women, ranging from facials and massages to full body wraps. Each treatment is designed and perfected to meet the changing needs of your face and body...reduce the signs of aging...soothe and calm the skin... and relax your muscles, mind and body. Pamper yourself from head to toe! Your hands are a reflection of who you are. Well-groomed hands not only feel good to the touch and add to your professional image, they leave a positive lasting impression on others. Often forgotten, your feet are among the most sensitive areas of your body; reducing foot tension, which arises from carrying your total body weight. The warmth and natural vibrations relaxes you all over. You'll feel the tension melt away as you enjoy your deluxe spa pedicure with heated therapeutic whirlpool foot bath. Our expert nail technicians shape and buff each nail along with performing nail and cuticle treatments. A relaxing massage, moisturizing and polishing with a color selection of your choice, provide the perfect ending to this wonderful service. Between your manicures, you may want to come in for a color change. Often just a switch of color can enhance your mood or perk you up. After a manicure, this is a wonderful treatment for those who prefer a natural look. Nails are expertly tipped in white, then coated with transparent pink or beige, which compliments your specific skin tone. Enjoy the beauty of well-groomed, manicured hands with a beautiful, natural finish. Exfoliation of dead skin, massage, with paraffin bath and "man"icure. The ultra-gentle scrub with sea salts mixed with a pure blend of essential oils that effectively removes dead cells and impurities; rendering your hands moisturized and subtle. Compliment your manicure with this treatment. Warm layers of vitamin A and E-enriched paraffin intensely hydrate the skin and cuticles of the hands and feet to add softness for days. An excellent treatment for dryness, and a wonderful addition to a manicure and pedicure. Treat yourself to the ultimate experience for your feet! Enjoy a warm, relaxing soak in our therapeutic whirlpool foot baths to soften and moisturize. Then experience our unique, vibrating, heated "throne" spa chairs. Relax as you receive a complete cuticle and nail treatment, skin exfoliation and a soothing foot massage. A choice of clear, color or natural buffing adds to the final touch. In addition to our spa pedicure you will receive a mineralizing and detoxifying clay mask foot treatment. Our pedicure units are made with a custom shell with a non-porous material, where fungus and bacteria cannot survive. Extreme hygienic measures are taken to inhibit any cross contamination. This treatment begins with a 20-minute therapeutic massage using our soothing body butters and finishes with your feet wrapped in complete warmth. A must for individuals who spend time on their feet. For a special occasion or on a permanent basis, let Battisti's nail technicians apply a full set of sculptured nails, at your desired length. Your hands will always look beautiful, feminine and be worry free. Shellac is the break through, patent-pending UV technology that combines the ease of polish with the permanence of gels. A true innovation in chip-free extended wear color. Shellac is UV cured so there is zero dry time. It is thin and flexible like polish so it not only looks natural; it provides strong natural nail protection. The result is 14 day high gloss shine. Proper skin care is essential for beauty maintenance and enhancement. At Battisti's, we offer a variety of skin and body treatments for both men and women, ranging from facials and massage to full body wraps. Each treatment is designed and perfected to meet the changing needs of your face and body...reduce the signs of aging...soothe and calm the skin... and relax your muscles, mind and body. Pamper yourself from head to toe! Today we are exposed to many different toxins. Periodically detoxifying is essential to the body and maintains good health. Ionic Detox is a detox process that loosens all toxins in your body that have been stored for years. These toxins are released via the feet which is the main access point in the body. The advantages to this detox system is improving brain clarity, increase overall physical energy, reduce joint pain, reduce sinus congestion, and creating an internal healthy enviroment. It can create new energy levels by balancing the cells equilibrium of positive and negative ions, which aid in the dispersal of unwanted toxins. We also recommend following up with our Integrative Therapeutics 2 week detox system at home. Call today to schedule your appointment & try our NEW Ionic Detox! A warm wax application quickly and effectively removes hair from facial and body areas for safe, systematic and longer-lasting hair removal for both women and men. 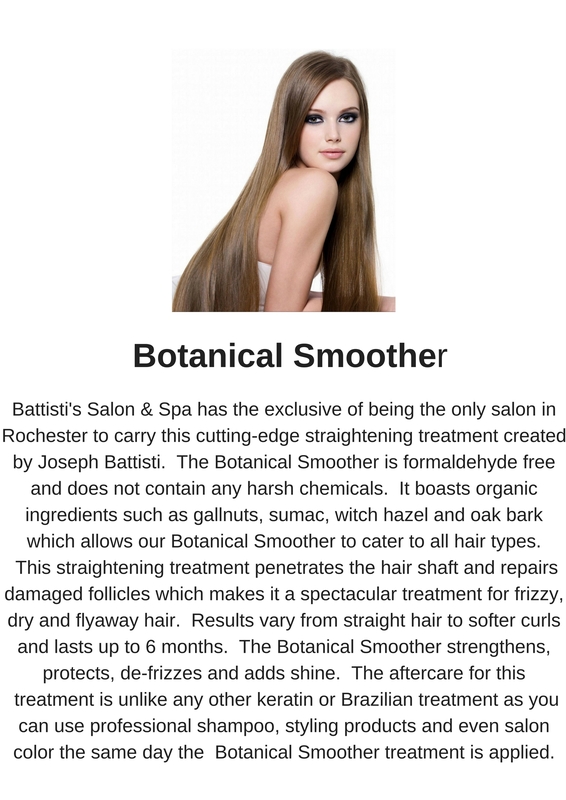 A modern version of Ancient Egyptian hair removal for both men and women which is all natural and non-aggressive to the skin made of sugar, lemon and herbs. Private, permanent, safe hair removal. A fast comfortable and permanent alternative hair removal. After cleansing and toning, our make-up artist will enhance your appearance with cosmetics for your particular needs to balance with your eyes, skin and hair color. We can create a natural look for daytime, or a more dramatic look for evenings and special occasions. A Make-up lesson is provided so you can learn to apply your make-up and feel secure doing it at home. For beautiful, expressive eyes without the use of mascara or pencils, lashes can be darkened to add emphasis or brows can be tinted to match your hair color. This is a perfect solution for individuals with light facial hair and lasts up to three to four weeks. An ear piercing gun is utilized, and all hygienic measures taken. For those who prefer the light flowing effleurage strokes, this body massage leaves you completely relaxed and feeling pampered. This is a relaxing massage that incorporates hot stones into a specialized massage routine. The warm stone's thermal conduction bring about local and systemic changes in the body and also can influence the energy center for body and mind balancing. An ultra gentle sea scrub from Brittana France, with a pure blend of essential oils, effectively removes dead cells and impurities leaving the skin moisturized and radiant. 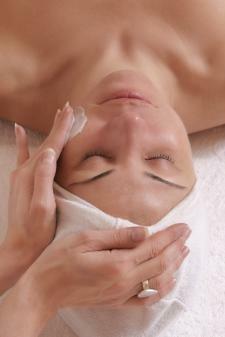 Our facial treatment includes detoxification and deep pore cleansing. A vegetable peel and steam are utilized to soothe and hydrate the skin, which allows for easy removal of blackheads. Then an anti-bacterial and anti-inflammatory healing procedure, relaxing the face, neck and d'ecollete massage comes next, followed by a masque to draw out skin impurities. Experience a softer, more youthful appearance to your complexion. An effective treatment that deeply hydrates the skin leaving it firm, refreshed, vital and healthy with an exceptional glow. A mineralizing, vitamin enriched seaweed masque. This may be used once a week for six weeks as a repair treatment or when needed. It is recommended for all skin types. Excellent before professional make-up application and for special occasions. A European facial customized for treatment of oily, acneic skin. This also helps to stabilize excessive oil production within the skin. To achieve maximum results, this treatment is recommended once a week for six weeks, then every other week until acne is controlled. Enzyme peel will accelerate the removal of dead outer layers of the skin; rendering the skin soft and smooth. Useful to help any skin with the following conditions: age spots, acne, hyper-pigmentation, clogging, enlarged pores and wrinkles. These treatments can be given once a week for six weeks or as needed for all skin types. 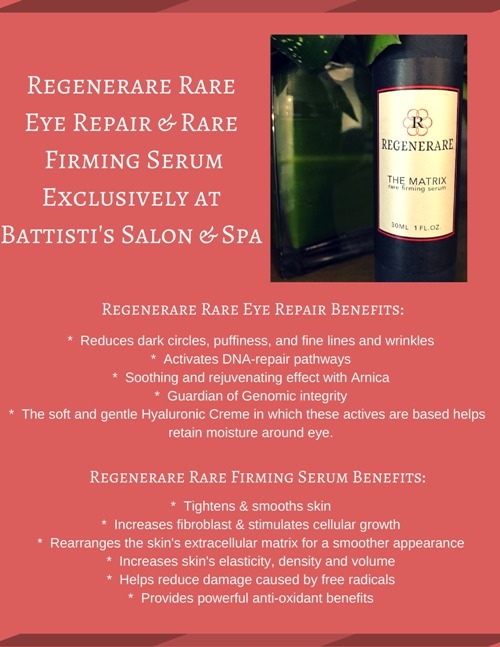 This treatment cleanses, exfoliates, and re-moisturizes to repair and restore the skin's natural balance. You will also enjoy a relaxing facial massage and vitamin masque. Treat and maintain adolescent skin with deep pore cleansing, extraction of blackheads and a masque. A skin care lesson for the teen is included to help them maintain well balanced skin. Microdermabrasion is a safe, effective way to improve the skin's appearance and reverse the effects of aging. This procedure utilizes crystals to finely resurface superficial layers of the skin. Now you can significantly improve the appearance of scarring, fine lines, moderate wrinkles, pigmentation problems, uneven tones, dull lifeless and sun damaged skin. Brochure available. Turn back the hands of time by increasing collagen production, thus reducing wrinkles. This treatment, developed by NASA, increases circulation and moisture to the skin, providing a healthier skin tone. This non-surgical procedure reduces melanin production, which causes age spots and promotes nutritional elements existing within the skin. Have your entire face treated, or spot treat those problem areas. Intense Pulse Light Laser uses pulses of concentrated light to clear sun damage, sunspots, acne scars, rosacea, spider veins and is also used for removal of light and dark hair.